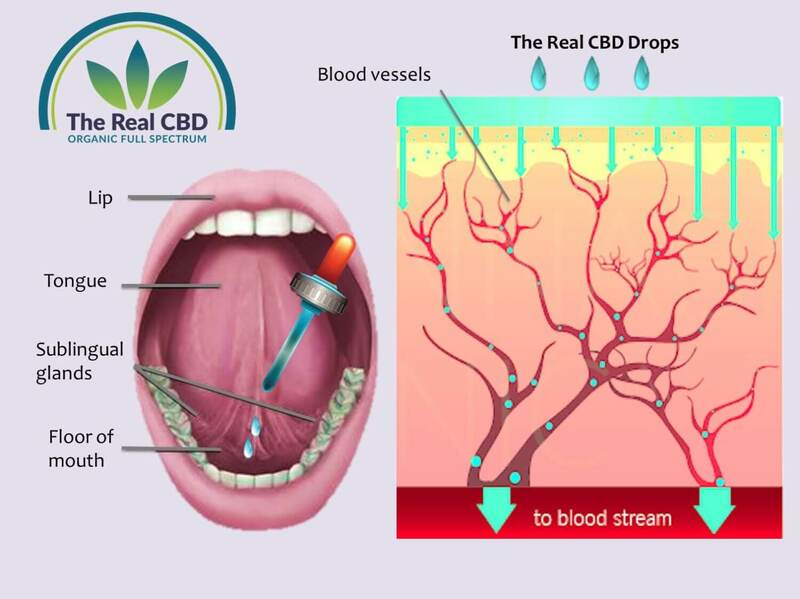 The Real CBD - How to take CBD oil and recommended dosage. It is easiest to put the drops directly on or under the tongue (use a mirror) in order to be taken up properly by the body, hold it in your mouth for about a minute. By moving the oil around in your mouth, your body readily absorbs it through the membranes and glands. This speeds up the uptake. The rest happens through the intestinal tract and is somewhat delayed. Not everyone likes the taste of the oil, and taking some water or juice afterwards is fine. If necessary, the oil can be put on a teaspoon of coconut oil or honey to soften the taste. We recommend waiting with eating for about half an hour after intake. For recommended dosage please click here.